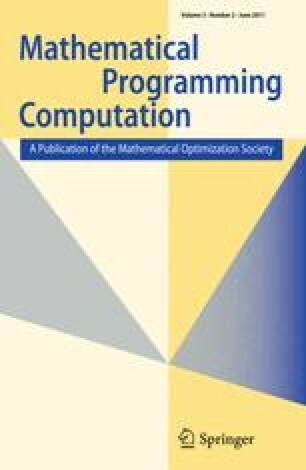 This paper reports on the fifth version of the Mixed Integer Programming Library. The miplib 2010 is the first miplib release that has been assembled by a large group from academia and from industry, all of whom work in integer programming. There was mutual consent that the concept of the library had to be expanded in order to fulfill the needs of the community. The new version comprises 361 instances sorted into several groups. This includes the main benchmark test set of 87 instances, which are all solvable by today’s codes, and also the challenge test set with 164 instances, many of which are currently unsolved. For the first time, we include scripts to run automated tests in a predefined way. Further, there is a solution checker to test the accuracy of provided solutions using exact arithmetic.